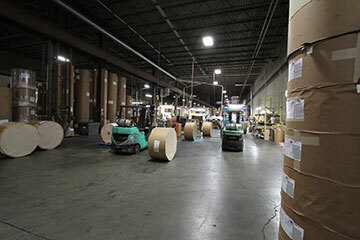 We inventory over 9,000 tons of roll stock in our 175,000 sq. 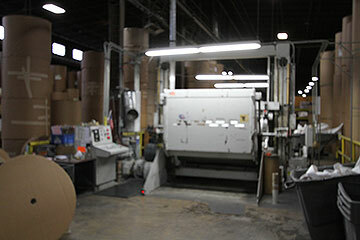 ft warehouse, ready to be cut to your specific size, OD, core size, and weight. Our nine rewinders allow us to deliver your order within 24-hours from receipt of order. For those who are not familiar with this term, it is a program we offer to free up cash. Instead of having inventory tying up cash and warehouse space, we will rewind your obsolete inventory to a size that works for you. 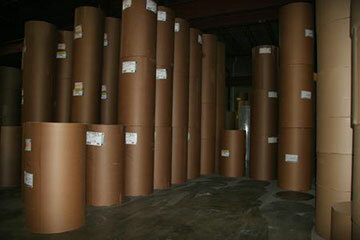 We also will rewind product to a specified diameter or core size. If you are tired of carrying inventory on your balance sheet, put it on ours and we will deliver your paper when you need it. Give us a call or send us a quick message. We would be glad to help.